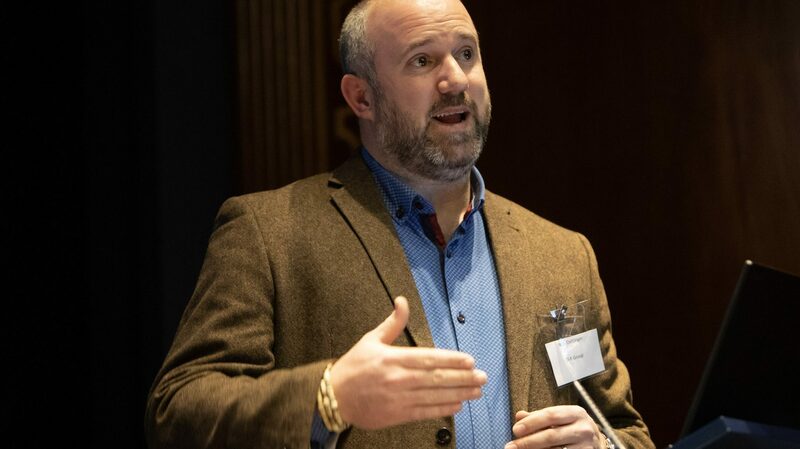 Earlier this year, our managing director, Nick Oettinger, was invited to the Resourceful Conference, held in association with the London Community Resource Network (LCRN) and the Circular Economy Club. Nick was in great company, speaking alongside the likes of Sandy Martin, Shadow Minister for Waste & Recycling, Julie Hill, Chair of Wrap and David Warren, Head of Circular Economy Economic Policy for the Welsh Government. This year marked the 10th year of the Rushlight Show, with its Resourceful Conference fundamental focus on the circular economy, looking at the redesign of consumables, new business models, and the development of supply chains for reuse and surplus material upcycling. The aim of the conference is to bring together like-minded businesses who are seeking circular economy solutions with those organisations who have the sustainable solutions. Those in attendance included sustainability managers within industry, commerce, the public sector and the community. 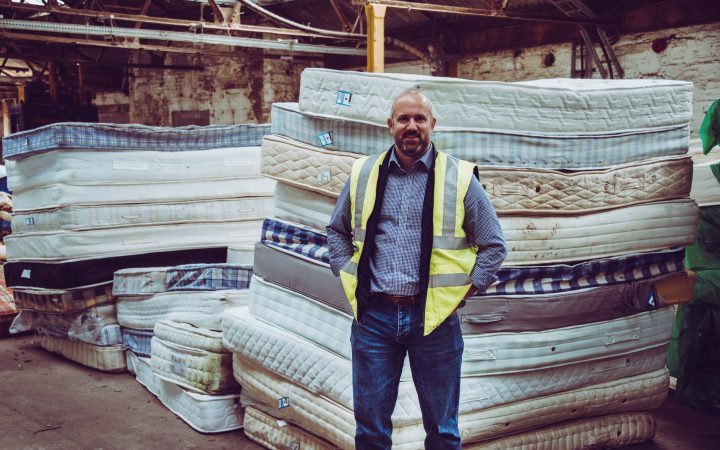 As part of the event, Nick gave a presentation into our story highlighting the scale of the mattress recycling problem, why the problem isn’t going away anytime soon and why the future is the circular economy. 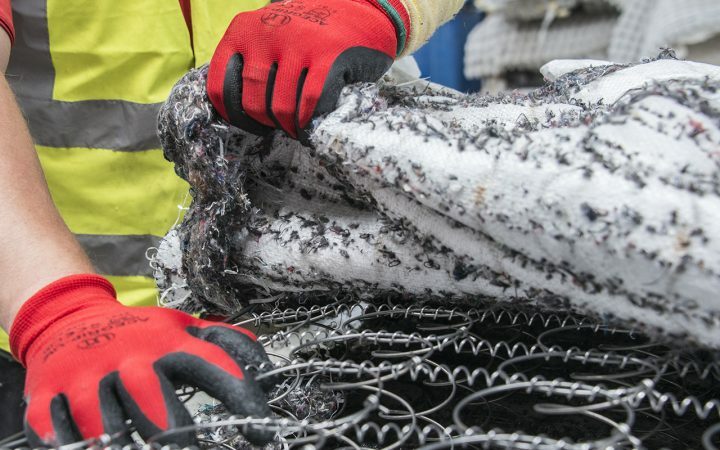 Our aim is to automate mattress recycling to give the accuracy of segregation of materials and to reduce the cost of recycling which, in turn, will allow more mattresses to be diverted from landfill. 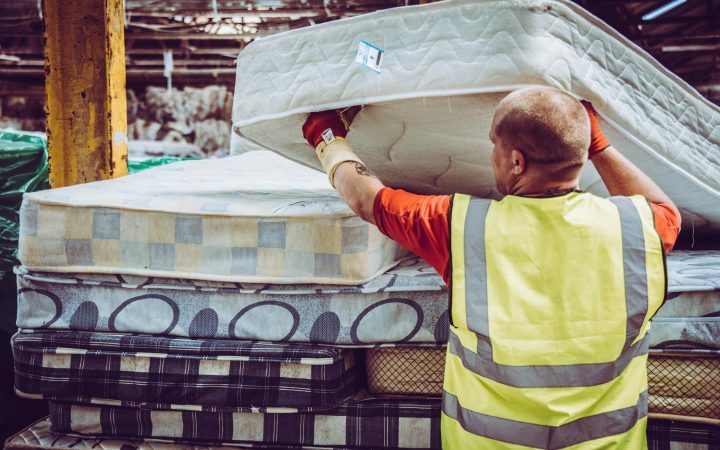 With three innovative machines either in use or development, we’re using automation to increase the national availability and capacity of mattress recycling, and to generate international partnerships. Following the presentation into our history, Nick featured on a panel alongside Dr Fiona Charnley, Senior Lecturer in circular innovation at the Cranfield Centre for Competitive Creative Design, Gwen Powll, CEO of Clean Conscience and Helen Farr-Leander, CEO of Watson & Wolfe. If you’re interested in learning more about partnering with us, call 01254 205 155.